Trusted by professionals and recreationalists alike, IceCourt Speed Indoor court tile surfaces are the perfect balance of performance and durability. 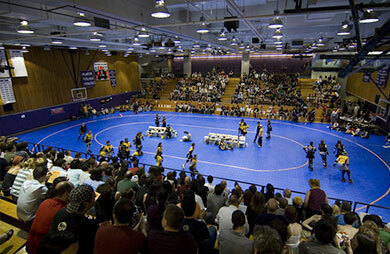 Specifically designed for high-intensity skating, the two-level skate surface of IceCourt Skate allows for sustained sprints and quick turns, making it the perfect surface for your new roller derby track. Skating rink surfaces that provide seamlessly smooth skating, consistent wheel grip and softer landings for spills. 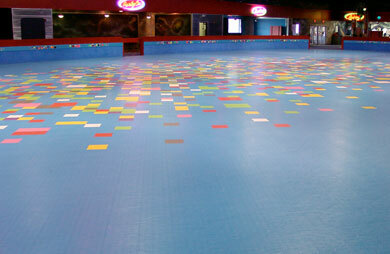 IceCourt skate flooring is available in more than 18 colors, including a variety of custom options. IceCourt selection of court tile provide excellent performance for a variety of sports & applications. 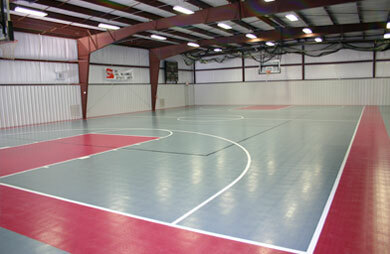 From basketball to soccer, our surfaces are designed to have the same rigid feel and function of a wood floor.